It’s a well-known fact that exercising is important. Not only is it highly beneficial for our physical health, but it also has a positive influence on our mental and emotional wellbeing. And while some pregnant women might have to give up exercising during their pregnancies, starting to exercise after delivery might be the best possible thing they can do both for their body and mind. However, it’s very important not to push yourself but to listen to your body and go at the pace you feel most comfortable. Generally, it’s recommended you wait until your six-week checkup before your start exercising. Of course, it is best to first consult your doctor and maybe even get some guidelines from them. In case you didn’t exercise at all during your pregnancy, it’s best to start slow with the exercise routine. If you did some light exercises during pregnancy and you had a vaginal delivery and you feel up to it, you can start with some light exercises even a couple of days after the delivery. The same is not a good idea if you had a C-section, since your body will take more time to heal from it. The most important thing is not to push yourself and overdo it. A woman’s body goes through some serious changes throughout pregnancy and delivery, so it’s important to start slow. Low-impact activities such as walking are a great way to start. As your body slowly regains strength, you’ll be able to increase the length and the number of walks and soon you’ll be able to add some variety to your exercise routine. 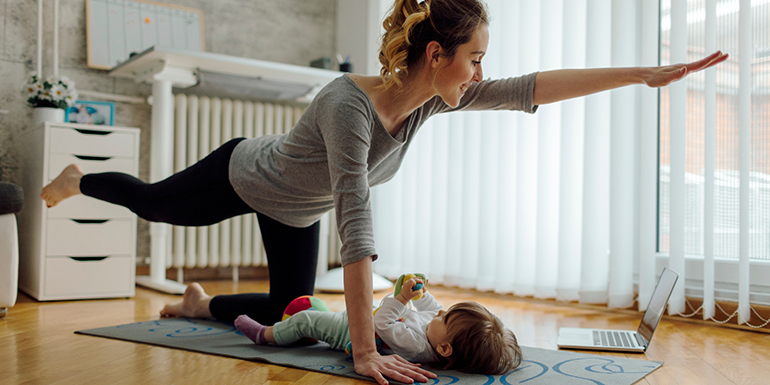 If you prefer to take an exercise class, it’s best to find one which specializes in postpartum exercises. Remember to drink plenty of water and get plenty of sleep. Always pay attention to what your body is telling you, keep a steady pace and take things slowly. You’ll be able to continue to breastfeed your baby even after you start exercising as it won’t affect the amount or the composition of your breast milk. It is however best you avoid any exercises which will make your breasts sore. It’s also recommended you wear a sports bra and to nurse the baby before starting your exercise routine. However, you can try wearing a high-quality maternity hoodie which is specifically designed for active moms. This way, you can take your new baby with you to keep you company during your walk and if necessary, you can breastfeed your little one. Combining exercises with a healthy diet is the best way to lose weight and get your body back in shape after childbirth. But it’s not only about losing weight; exercises help you improve your cardiovascular health and they’ll definitely help strengthen your abdominal muscles. Exercising will also get your adrenalin pumping which will boost your energy level and help you relieve stress. And let’s not forget, the combination of all that work baby takes and exercises, you’ll sleep like your baby once you hit the pillow. If done properly, exercising can’t bring anything other than benefits to your body. Give your body time to heal and use this time to bond with your baby, but then devote some time to yourself and do something for your body. Take things slowly and do these exercises with the pace your body allows you to. 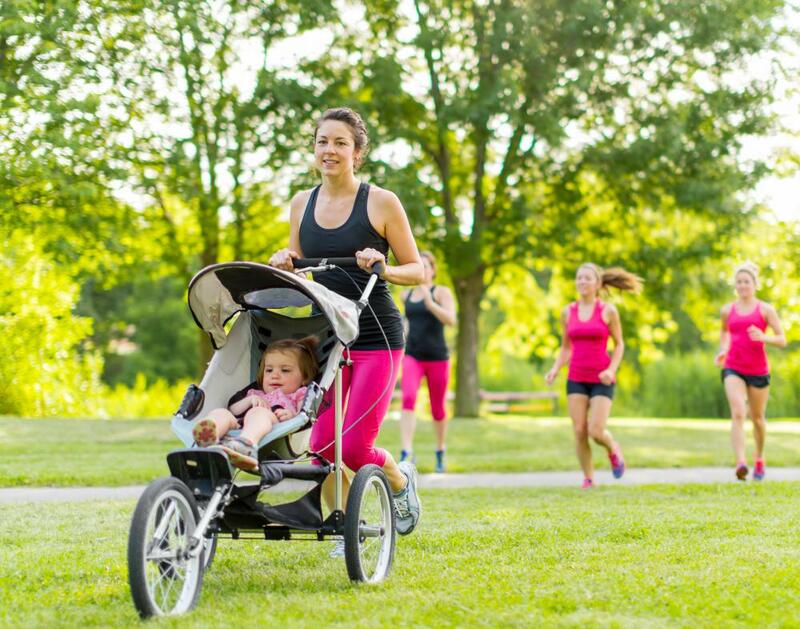 As you gradually increase your activity, your body will become stronger and this will give you the opportunity to really enjoy your child’s childhood as an active and fit mom.